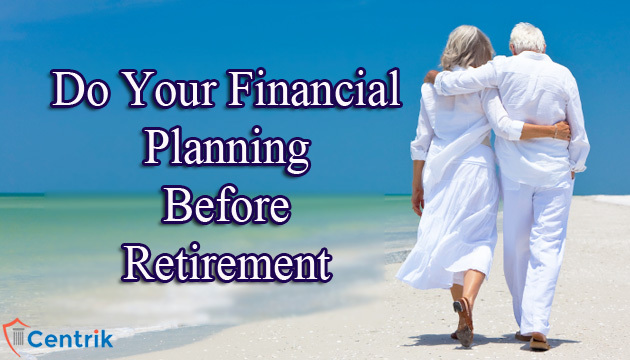 For living a fantastic retired life you must do your financial planning. Don’t put off today what you can’t afford to do tomorrow. As we all know that world-wide pension crisis and growing acceptance must plan and save for our retirement, the harsh reality is we are actually not saving enough. According to some research reports reveal that only 15% of the individuals are saving sufficiently for their retired life. Emergency expenses can happen anytime. But the possibility goes up during the old age. So we need to enhance the emergency reserve year on year based on the inflation and change in your expense levels. Emergency fund will give you a sense of security and also you need not touch your other investments during emergency where you need to pay pre-closure penalty. Also, don’t forget to refill the emergency fund once you met an expense out of emergency fund. You need to visualize your retired life well in advance and need to create a budget for your retirement. That is you will not be going to office. So the expenses on transport and clothes may come down. Also, you will have more time to spend. You may need to spend more on leisure travel and health care. Take a close look at your cash inflow as well as outflow. Is there going to be any income after retirement? Like rent, royalty. Would there be any unwanted outflow during retired life? Like paying life insurance, or SIP. At times during your beginning of the career, you could have taken a policy where you need to pay premium up to the age of 60. But now you may plan to retire at 55 itself. So you need to realign your existing policy and other investments in sync with your retirement age. The moment you retire, your employer will stop covering you under the group mediclaim. So you need to plan for your individual medical cover well in advance. At old age the medical expenses are inevitable. If you have not planned it properly the all your retirement plan will become a mess. Consider Inflation-adjusted annuities. The monthly income you need when you retire is not going to be the same even after 5 years of your retirement. Inflation will increase your retirement expenses year after year. So year after year your retirement income needs to go up. How your fixed assets and financial assets need to be distributed to your legal heirs? Create a WILL. You can avoid creating relationship problems to your next generation because you’re left out wealth. If you find any trouble in doing financial planning than call to us and ‘First Free Advice’ in any financial matter.